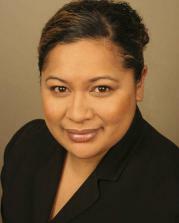 Goretti is a Samoan-New Zealand stage and television actress, writer, director and tutor. She completed a Diploma in Stage and Screen Acting at Unitec Institute of Technology in Auckland, New Zealand. She has worked in theatre and television as an actor, writer and director. 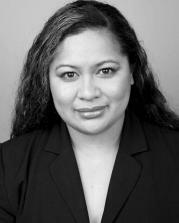 Her work in theatre includes, "Humn, "The Rocky Horror Picture Show", "Island Girls" and Auckland Theatre Company's "Still Life with Chickens". Her film credits include "The Legend of Johnny Lingo". "The Overstayer" and "Sione's Wedding". In 2010 she partnered with Anapela Polataivao to create the comedic duo 'Pani and Pani', and the pair went on to create and host the television show "Game of Bros". Goretti has been a tutor in acting and directing at the Pacifica Institute of Performing Arts (PIPA) in Auckland, New Zealand. AEROBICS; ALL SPORTS; BASKETBALL; BIKE RIDE; CRICKET; DRIVE CAR; DANCE; DRUMS; FRENCH LANGUAGE; HORSE RIDING; INDOOR CRICKET; JAPANASE LANGUAGE; MARTIAL ARTS; MARCHING; NETBALL; PIANO; RECORDER; ROLLER SKATE/BLADE; ROWING; RUGBY; RUNNING; SAILING; SINGING; SNOOKER; SWIMMING; TABLETENNIS; TENNIS; VOLLEYBALL; YOGA.